Rabat, the name of the medieval town of Gozo, officially known as Victoria since 1887, when it was also raised to the status of a city, is Arabic and archaic Maltese for suburb. rabat has two parishes: the Cathedral, already referred to, and the medieval parish of Saint George. At one time, when the whole population of Gozo was concentrated in the Citadel and its suburb, Rabat had no less than four parishes: these two, as well as the parishes of Santa Marija ta’ Savina and Saint James; these were suppressed in 1575. 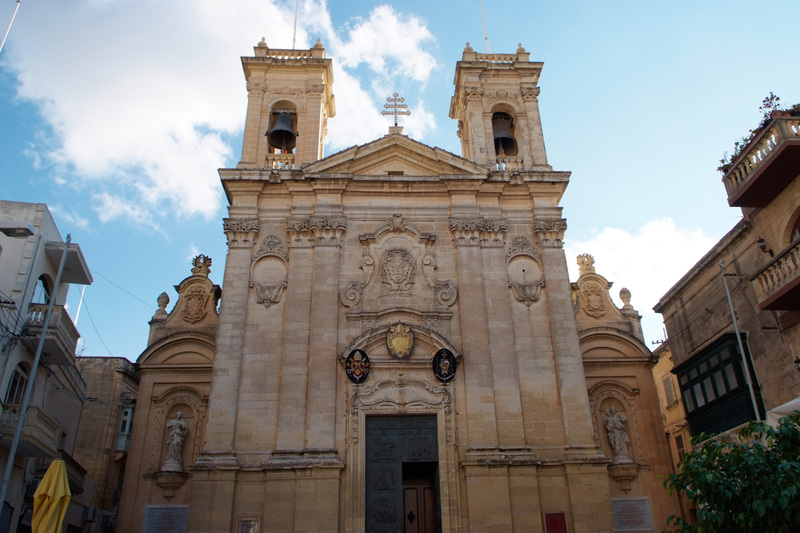 The parish church of Saint George, just off the main square It-Tokk, is situated in the very centre of the old town. The parish originated in medieval times, definitely before 1450, when it is recorded functioning as a parish church. The foundation stone of the present church was laid on 7 August 1672. It was consecrated on 21 September 1755. On 6 September 1958, the church was bestowed the title of Basilica. It became a Archipresbyteral and Collegiate Church aggregated to the Cathedral-Basilica of Saint John Lateran, Rome, on 8 December 1976. This parish church is rightly referred to as the marble basilica as it is entirely covered with marble. Very impressive is the bronze and gold guilded canopy over the high altar, but the main attraction is a statue of the patron saint, St. George, sculpted in wood in 1838. It is the first titular statue acquired by a parish church in Gozo.